Franklin County (pop. 78,163) is east of Benton County. 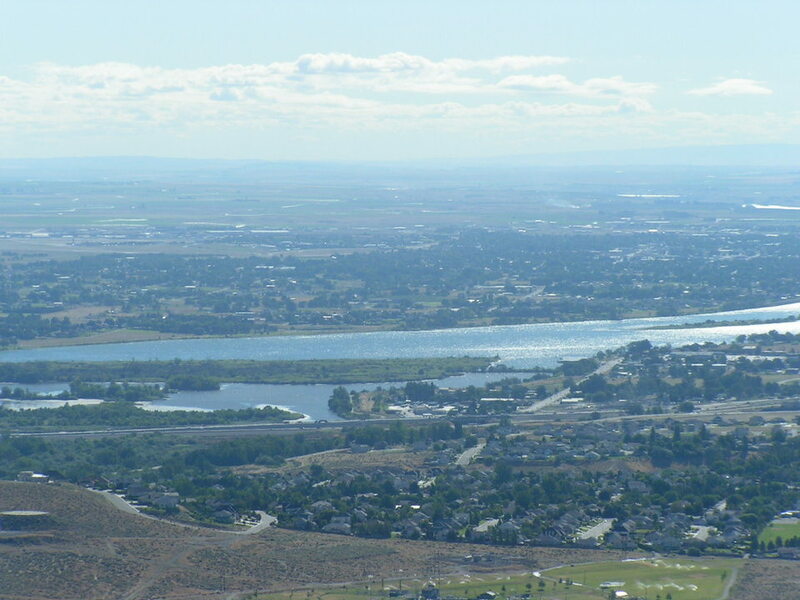 It is bordered by the Snake River on the south and the Columbia River on the west. Franklin County is in an area of dryland wheat and irrigated fruit and vegetable farming. The county has several wineries. Twenty-four of the 25 Franklin counties in the U.S. were named for Benjamin Franklin (1706-1790); the one in Idaho was named for Franklin D. Richards (1821-1899), an early leader of the Mormon Church. None is named for the comic book character Franklin Richards. 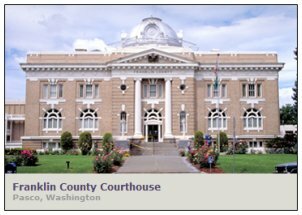 The county seat of Franklin County is the city of Pasco (pop. 59,781), one of Washington’s Tri-Cities, along with Richland and Kennewick. Pasco’s population has been growing rapidly in recent years – it was 32,066 in 2000 and has reached 77,000 in 2014 – mainly because of the annexation of new developments in the West Pasco area. The old Carnegie Library in Pasco is now the Franklin County Historical Museum. Amtrak’s “Empire Builder,” between Chicago and Portland, makes its only Tri-Cities stop at the Pasco Intermodal Train Station. Tri-Cities Airport is also in Franklin County, just northwest of Pasco. Delta, United, Alaska, and Allegiant fly there. Sacajawea State Park is at the confluence of the Snake and Columbia rivers in Pasco. Cinematographer James Wong Howe (1899-1986) was born in China but grew up in Pasco. He won an Academy Award for “Hud” in 1963. This entry was posted in Washington and tagged James Wong Howe, Pasco, Sacajawea State Park.